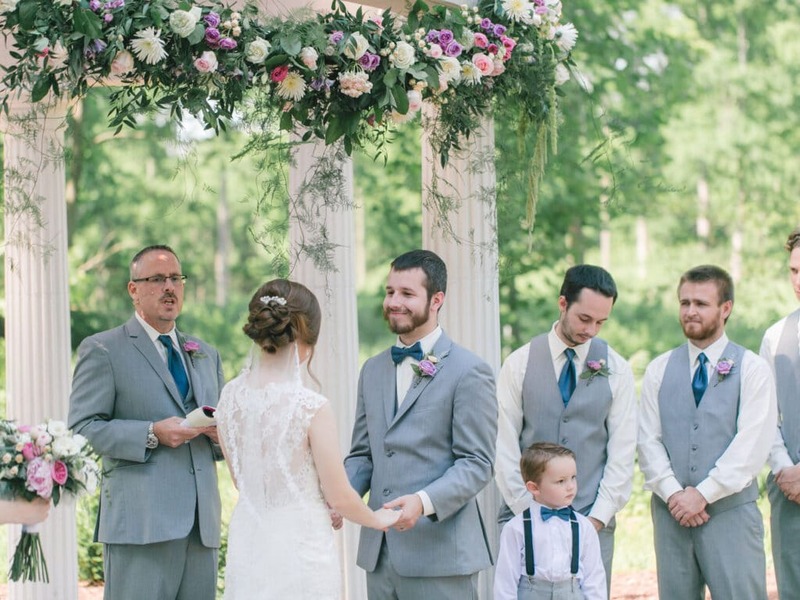 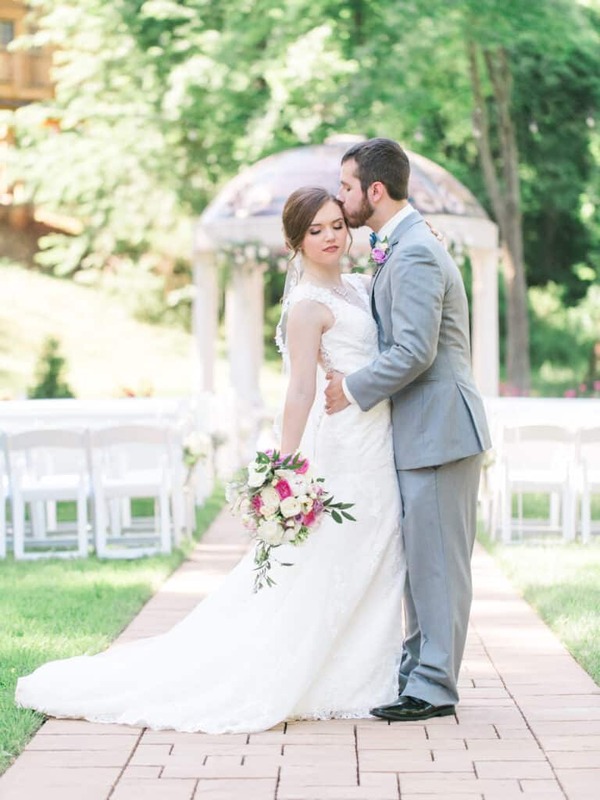 This Entwined couple met when they were students at Liberty University. 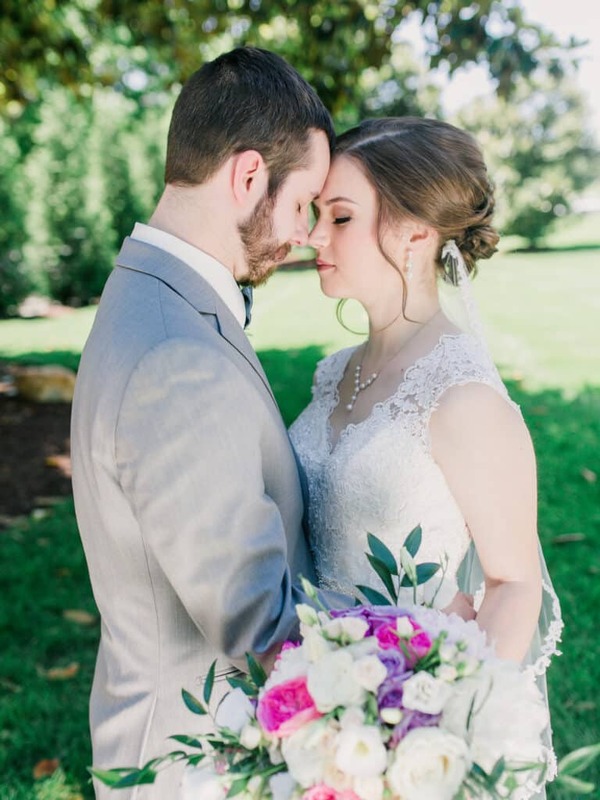 After establishing a strong friendship, it wasn’t long before Jason and Megan decided to date. 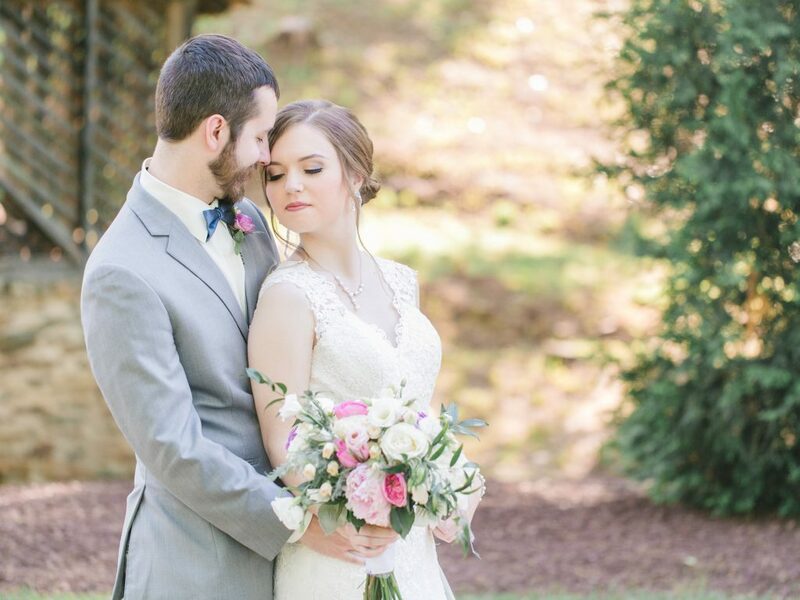 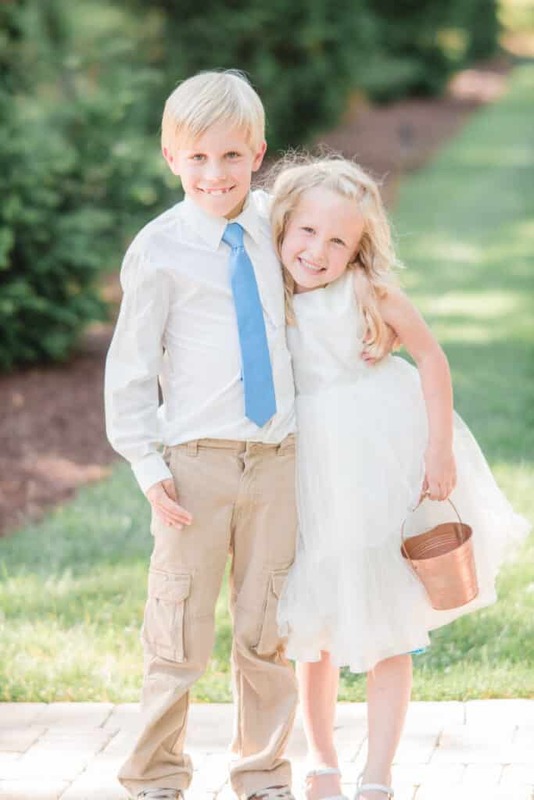 As Jason put it, “It was love at first sight… she just didn’t know it yet.” After dating for a while, Megan and Jason both knew that their relationship was special. 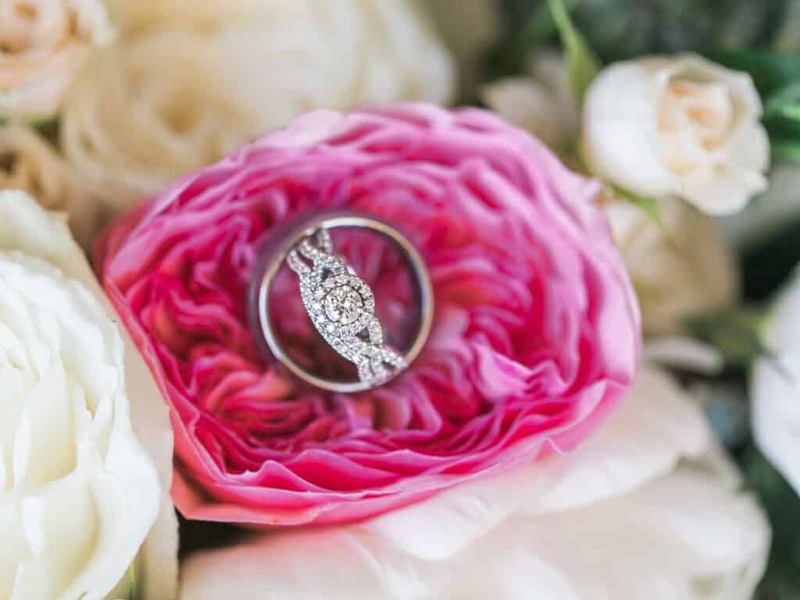 Little did Megan know that a weekend trip to an apple orchard in Charlottesville, VA would turn into a surprise proposal by Jason. 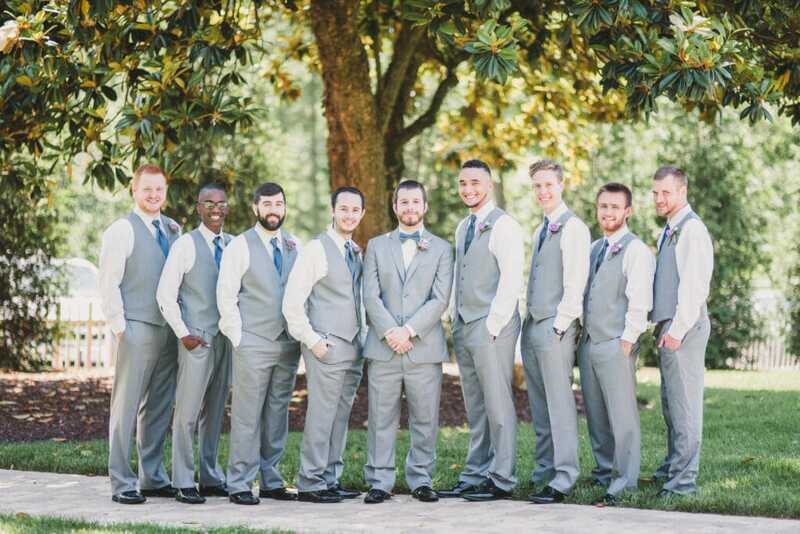 From that point on, it was time to think about the wedding! 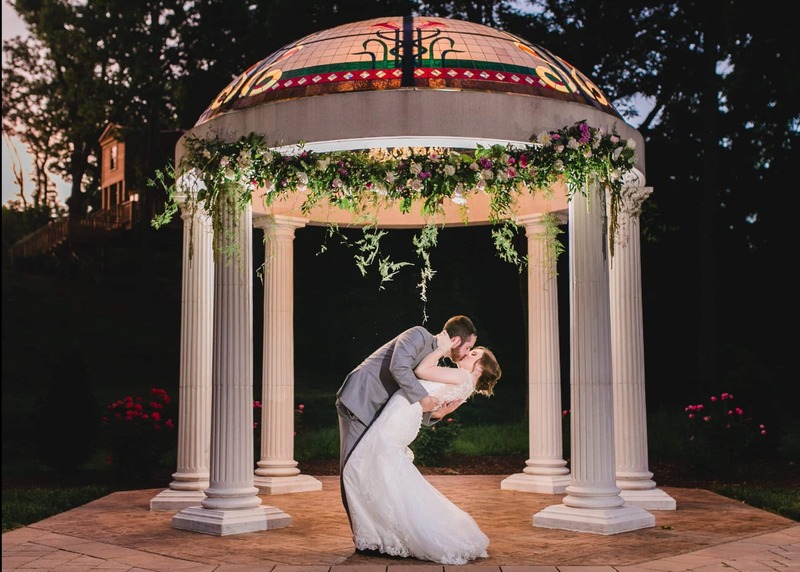 Jason and Megan chose Bella Rose Plantation and could not be happier with their selection. 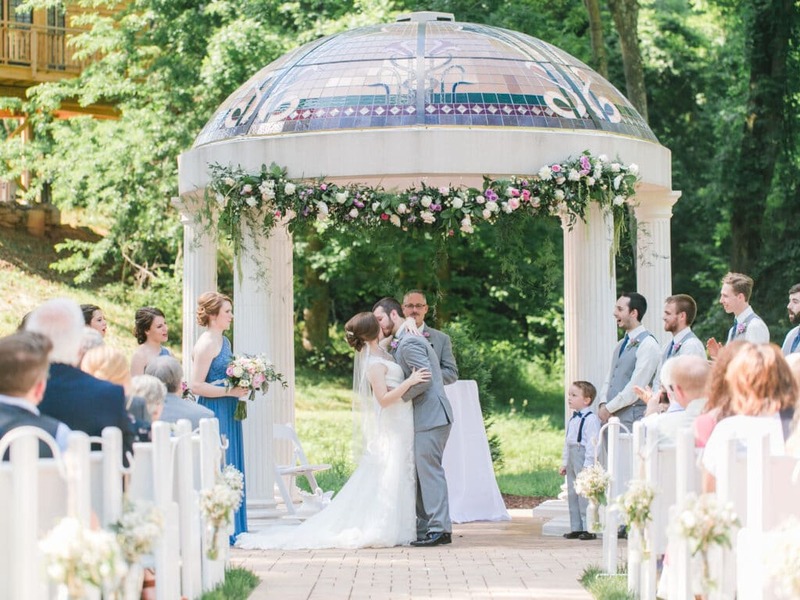 Their summer wedding was remarkably beautiful! 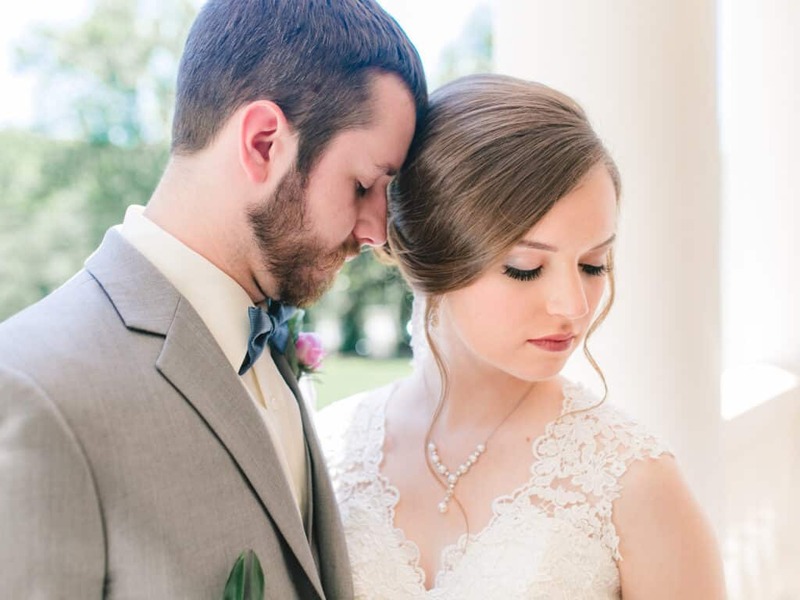 These pictures by April B Photography tell the whole story. 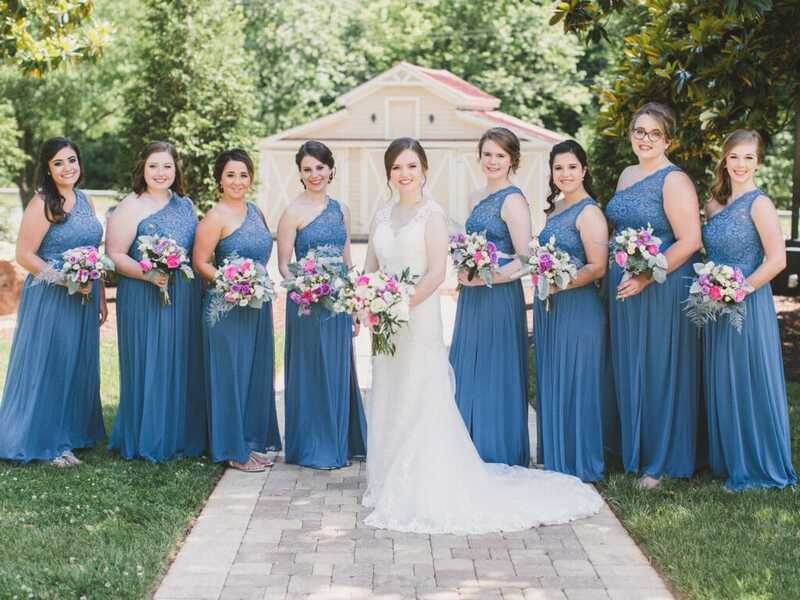 Jason, Megan, and their bridal party celebrate the big day! 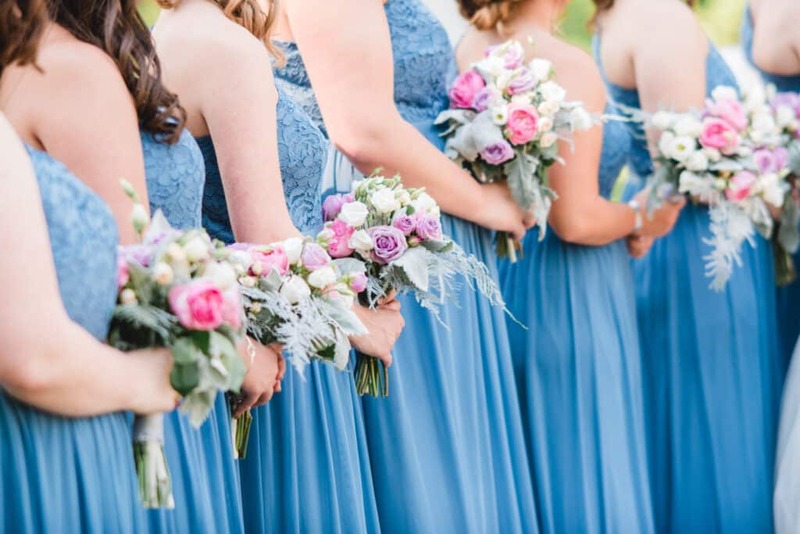 The bridesmaids proudly display their radiant havelock blue dresses while the men sport matching ties with their gray suits. 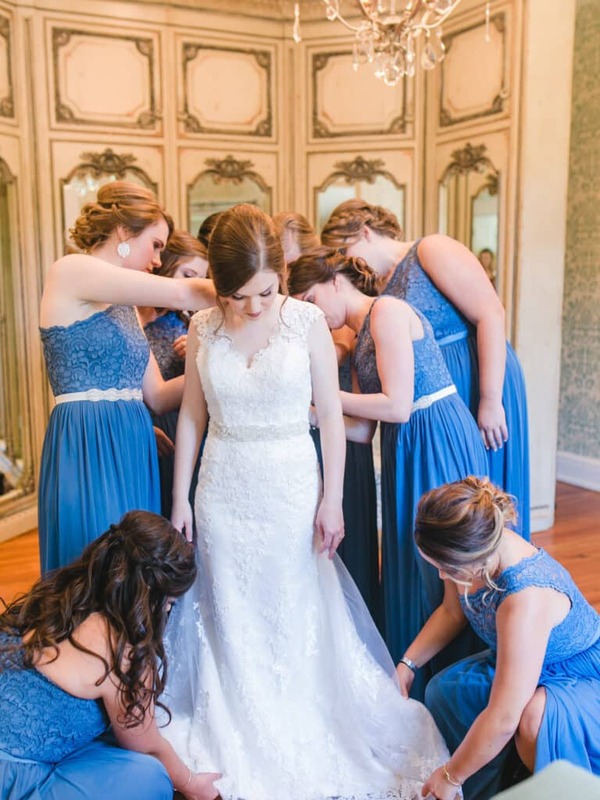 The ladies help Megan into her dress as they get ready for the ceremony. 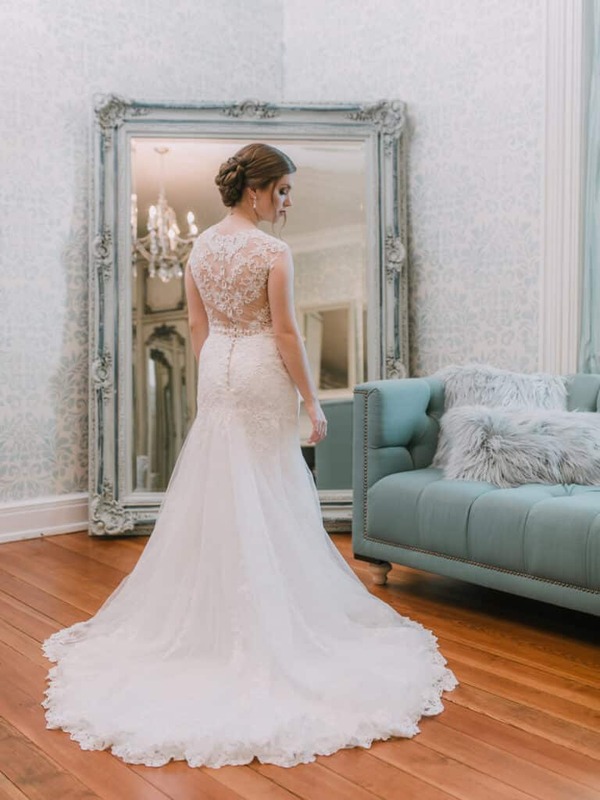 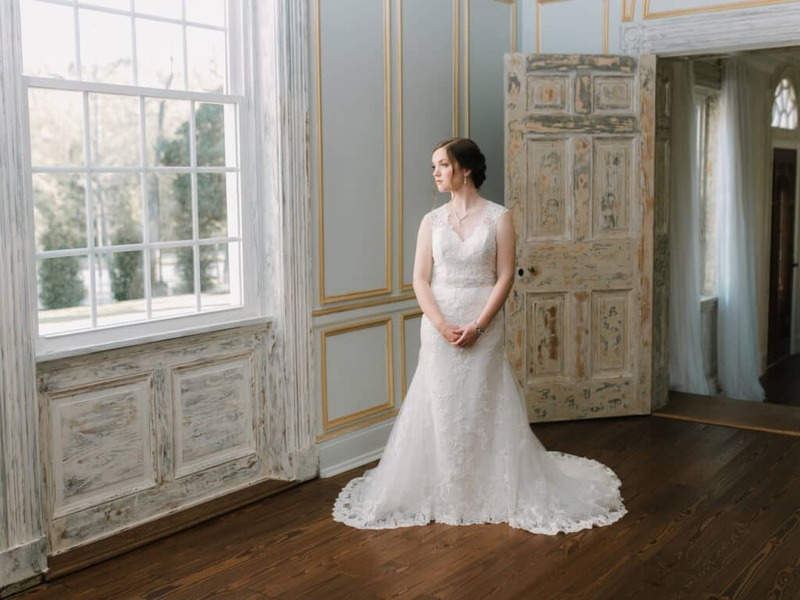 Megan looks out the window on the upper floor of Rosedale Mansion and attempts to calm her nerves from the jitters and excitement this day continues to bring! 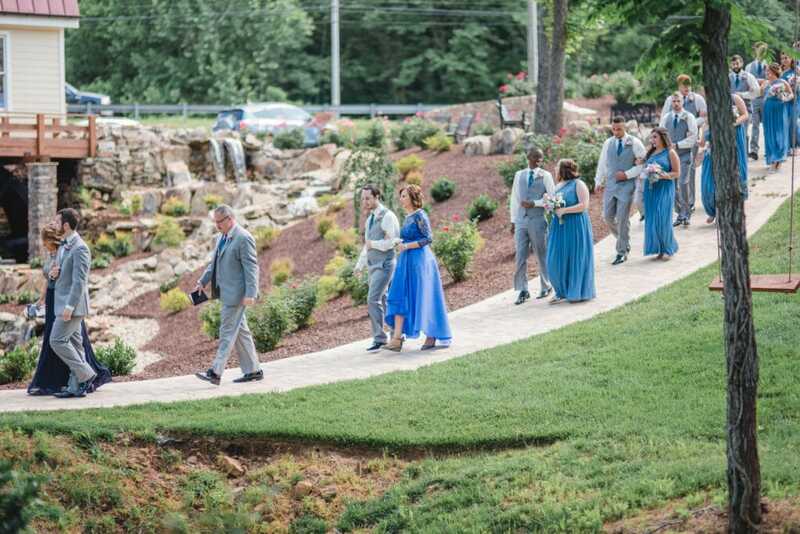 As the ceremony begins, Jason escorts his mother down the aisle as the bridal party follows behind him. 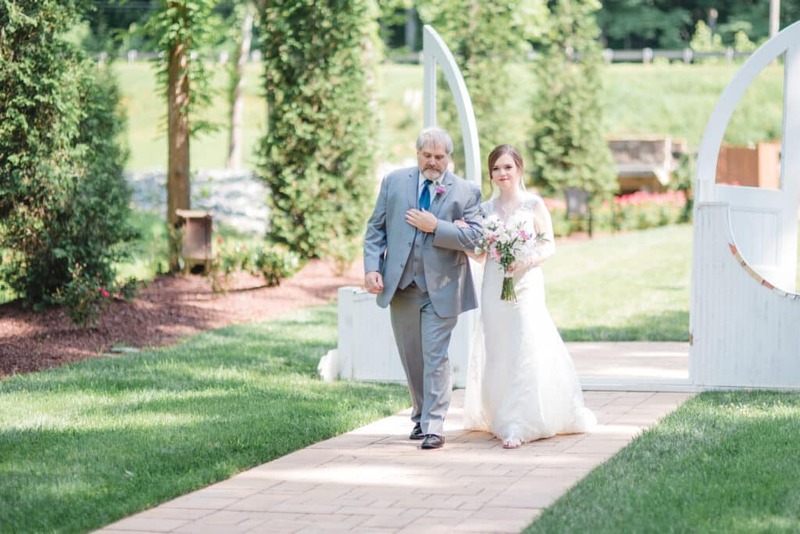 As Jason waits at the ceremony site, Megan’s father walks her down the aisle to give her away. 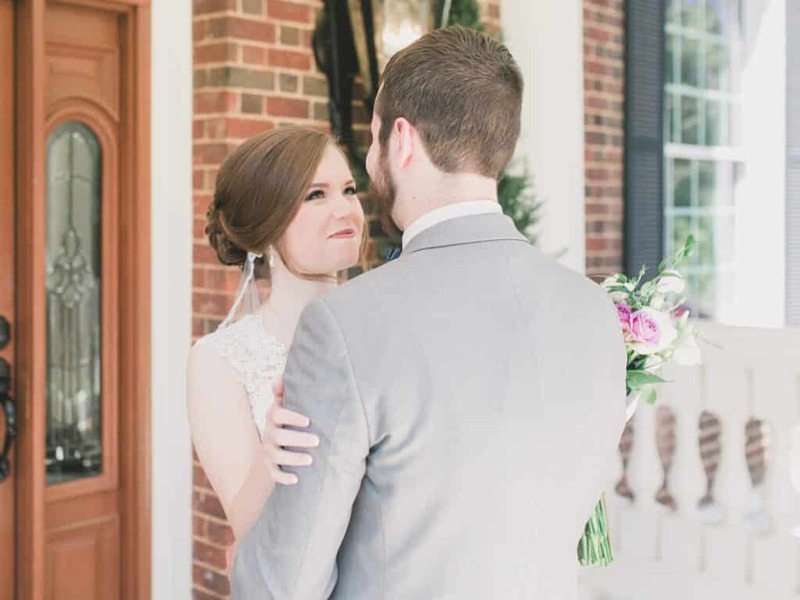 Megan and Jason exchange smiles just moments before they are married. 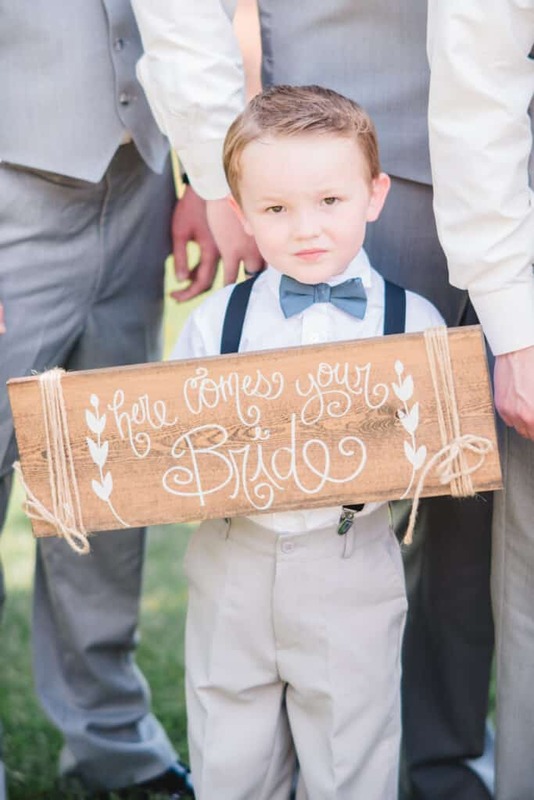 What a special moment! 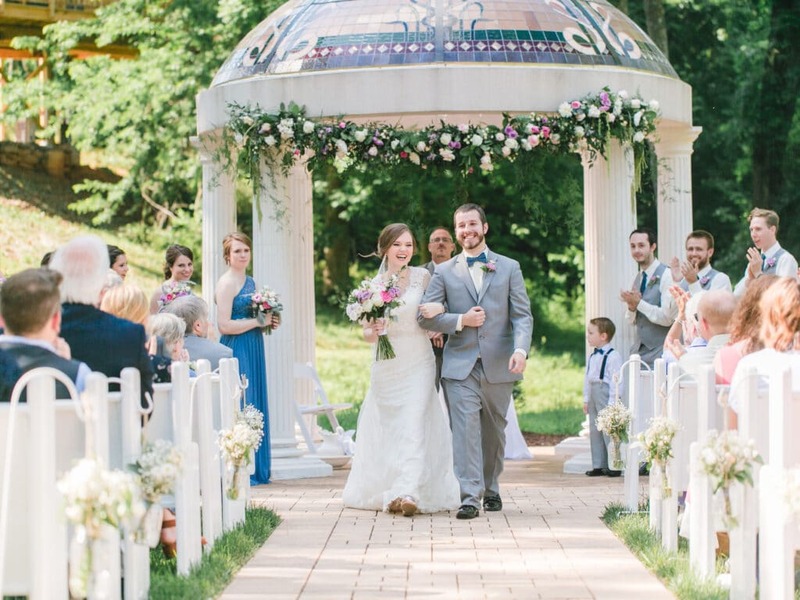 Megan and Jason walk down the aisle for the first time as a married couple! 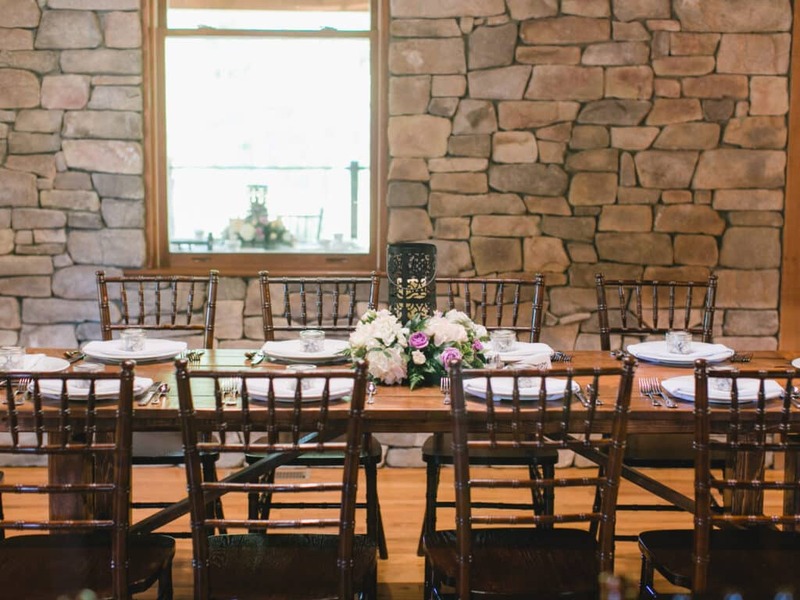 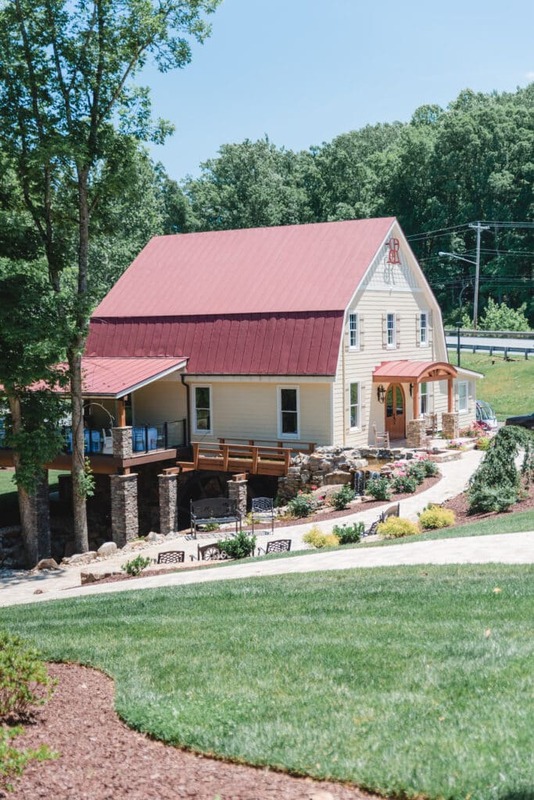 Following the ceremony, Jason and Megan held their reception in the mill house at Bella Rose. 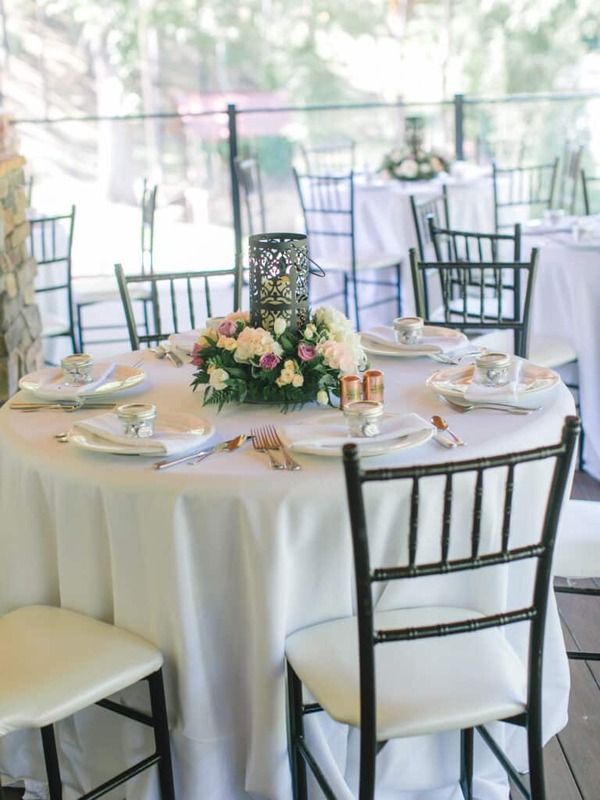 The space was set up to accommodate guests both indoors and outdoors on the deck. 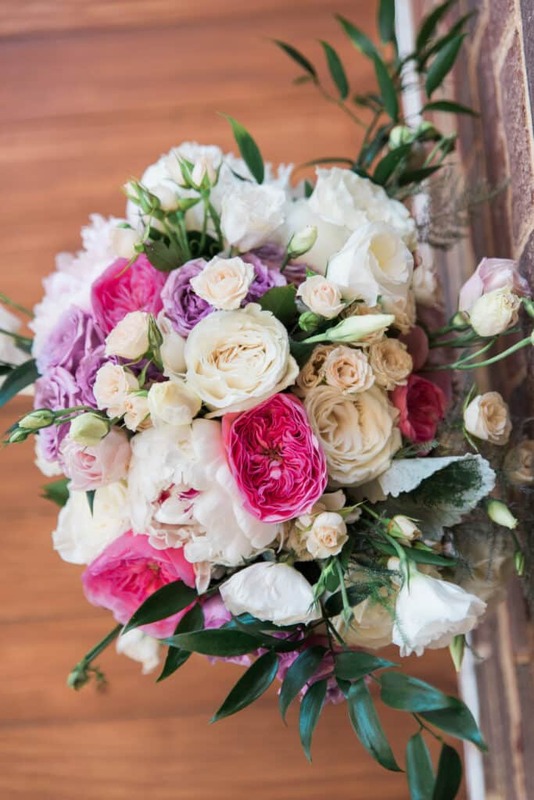 The bride’s floral arrangement was a medley of cabbage roses, spray roses, lisianthus, and peonies, accentuated by Italian ruscus and variegated pittosporum. 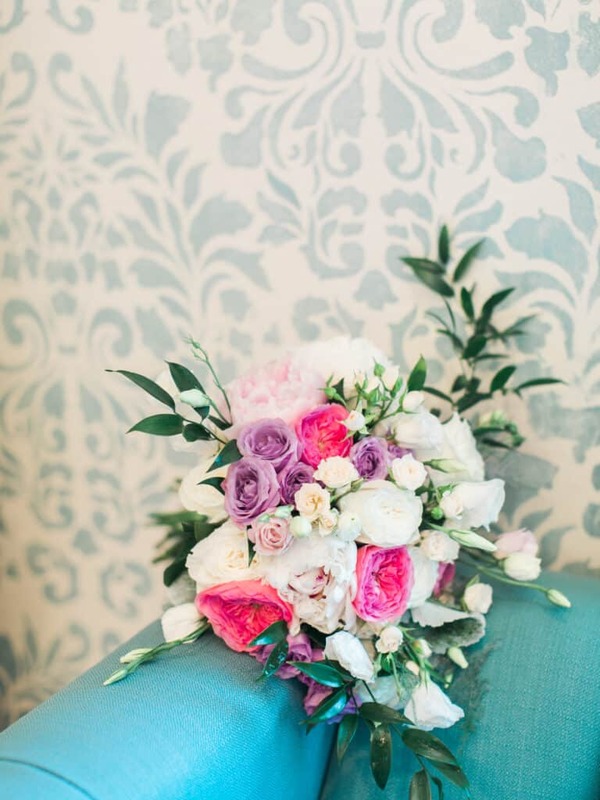 Megan’s beautiful bouquet was hand-crafted in-house by Bella Rose Floral and Designs. 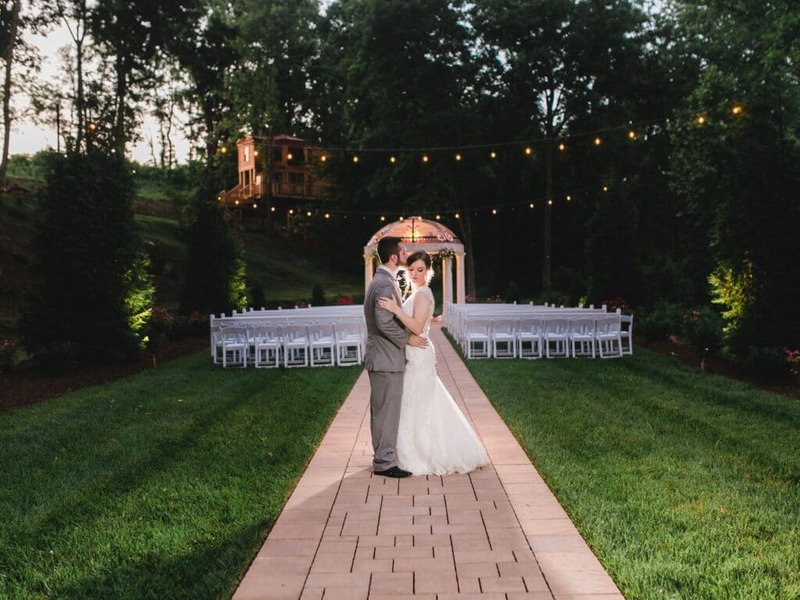 As the evening came to a close, Megan and Jason slipped away for a few more photos in the evening twilight. 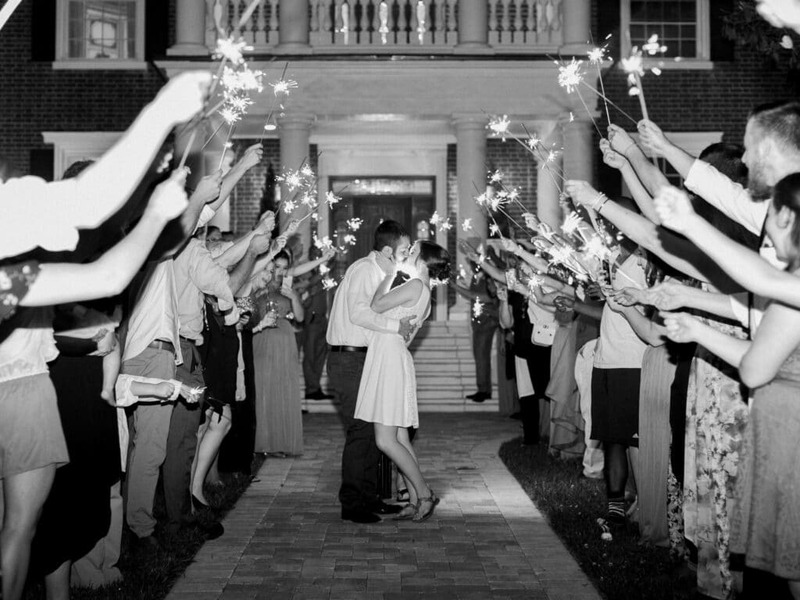 Finally, Megan and Jason exit Rosedale Mansion as their guests see them off with sparklers in hand. 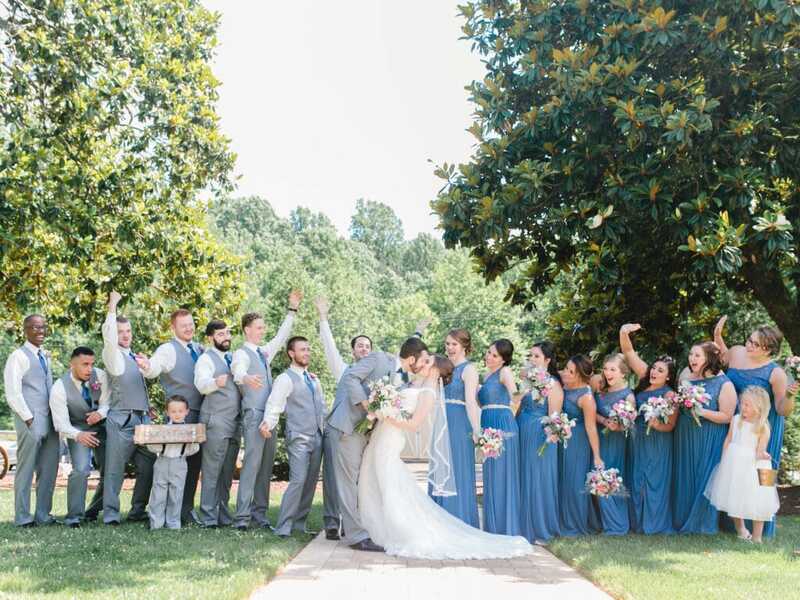 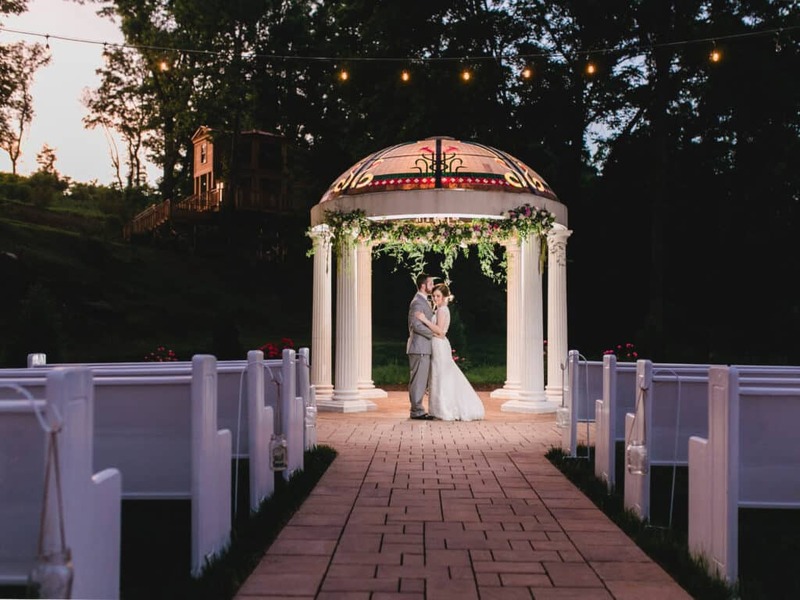 Everyone was so happy for Megan and Jason after what turned out to be one of the most stunning Bella Rose weddings of the season. 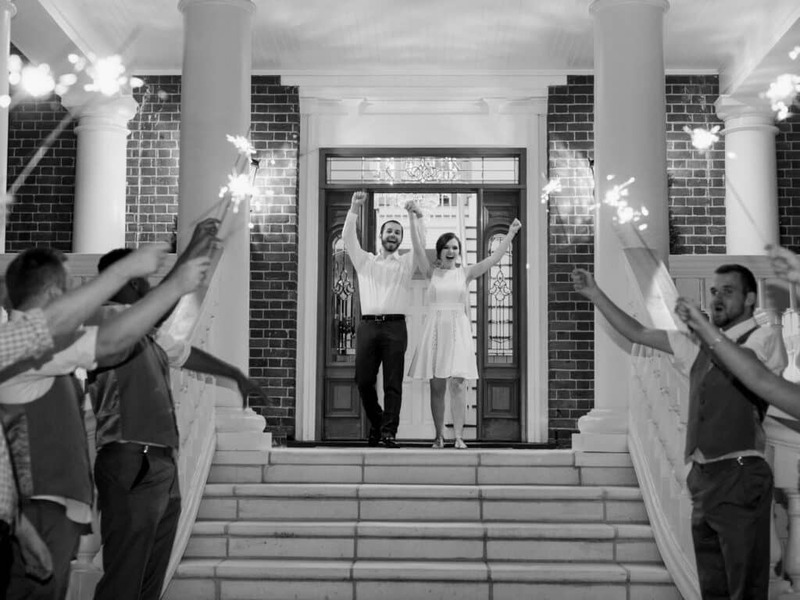 Entwined Events wishes them a long and happy marriage!